In today’s scenario developers feel the pain of building apps together in a team. Expectations as developers have changed. One needs to continuously deliver value to the customers. Salesforce aims at making all successful together be it coder, admin etc. So, Salesforce announced brand new Salesforce DX which bakes in these capabilities into the platform so that one can continuously deliver value to all the customers. They do this by making it easier to take a source-driven development approach.One can better externalize all of the metadata and source that lives today in that org. Many new capabilities have been introduced that makes it easier to test and develop using new tools. Salesforce has made it easier for developers to use the standardized tools that they already use today. DX stands for “Developer Experience” and Salesforce DX aims at betterment of the process that Salesforce Developers and Admins go through to deliver outstanding apps. 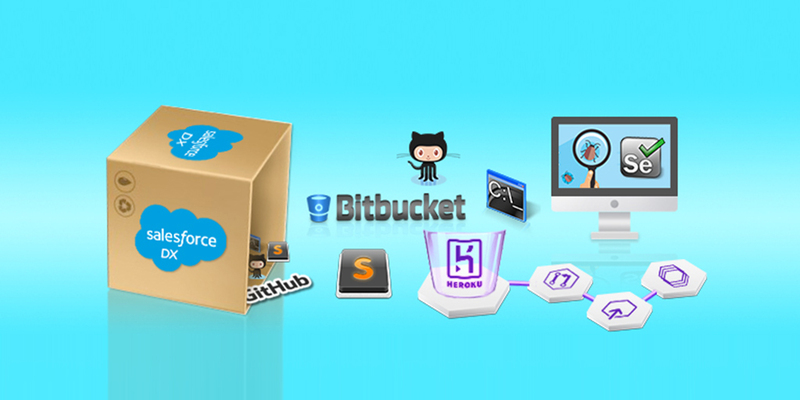 It has emerged as a great tool to develop, deploy, and upgrade Salesforce apps across their entire lifecycle, bringing together the best of Force.com and Heroku developer experiences. CLI- It would be intended to make Open source, it would be become a community tool. Entire community can contribute commands and other tools would be bought in. Source change – Public Streaming, Push Topic and API’s to determine what has changed. Development and CI- Everyone would be likely to be pushed to isolated orgs.